Big Heart, Small World: Parlez-vous français? In Costa Rica I met a very interesting woman from Montreal, Quebec. I decided to get in my car one long weekend and visit her. I woke up at 5am packed my car with my bike and cloths and drove off. On the way to Canada I stopped at Lake George and took a quick bike ride and lunch break by the lake. I decided since I was running a little early, I would take the scenic route. I hopped on highway 19 and drove through the windy roads, green meadows, and by sparkling lakes. When I hit the boarder I was almost out of gas. I filled up in the USA, because it's much cheaper, and then waited for an hour in a parking lot at the Canadian boarder. It was so slow trying to go through customs and when I finally got their they didn't even give me a stamp. I arrived at my friends home at 6:30pm in Kirkland, QC. We had a quick tea with maple syrup. I then drove us to her friends home in Montreal, where we would be spending our first night. 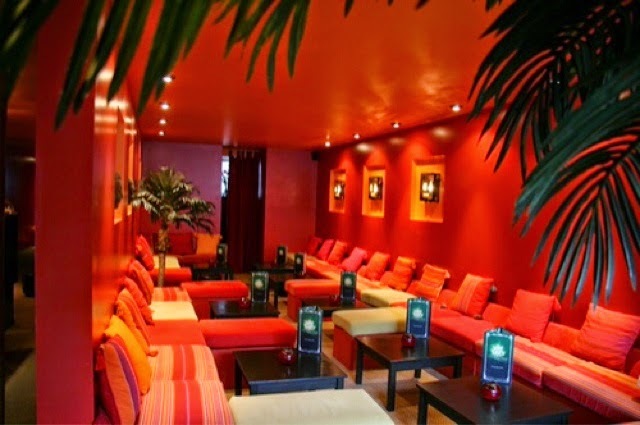 After settling in we walked down the street to a very cute tea lounge called orienthé. Here we sat back and talked over Canadian tea and baklava. The next morning we woke up early and rented bicycles from Bixi. It was $7 for the whole day. 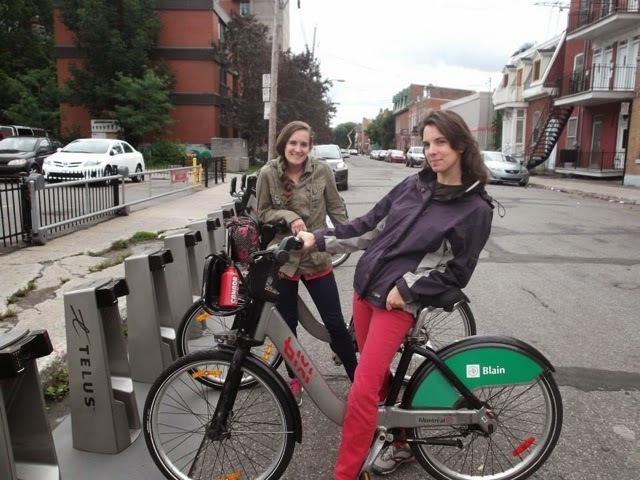 Bixi has stations throughout the town where you can rent and return the bikes. They were very well maintained and a cheap way to explore the city. For brunch we had Poutine at La Banquise, on Rue Rachel. 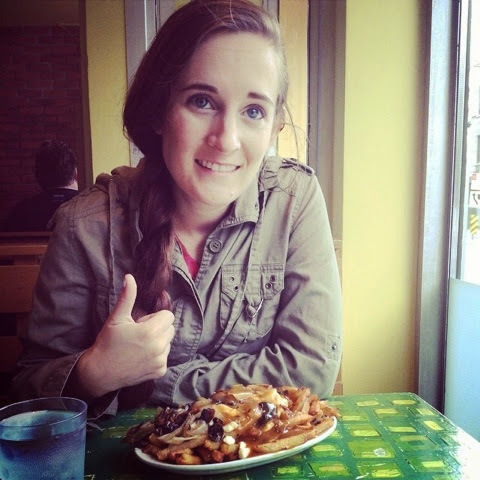 Poutine is a Canadian tradition. It's french fries covered in gravy, cheese curd and topped with whatever you like. I had mine with mushrooms, bell peppers and onions. It was so good, and very filling. 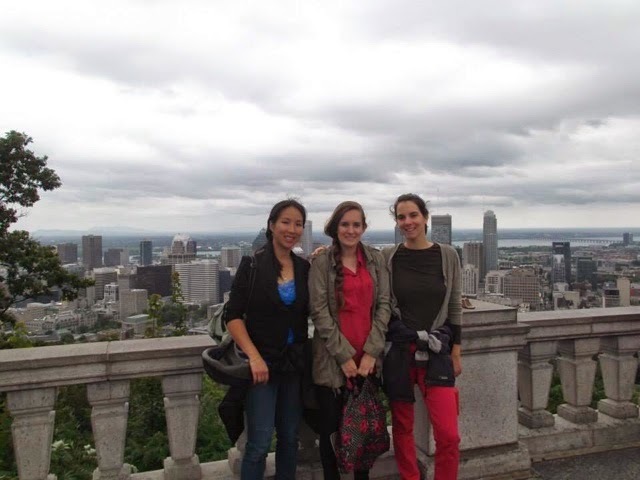 We hiked up Mount Royal in the center of the city for a panoramic view. We hiked back down another side to meet some friends in China town. Here we are dumplings, sweet breads filled with pudding and Chinese fried donuts. We ordered some bubble tea and sat down to talk and people watch. After China town we headed to Old Port Montreal. Here we enjoyed a local dessert called beavers tail, which is a sweet bread topped with anything you can imagine, fruit, chocolate, whip cream, ice cream, cookies and of course maple syrup. After our filling treat we walked around the old city enjoying shops and trying free samples of wine and jam. After old city we road our bikes back to our head quarters and changed for a night out. We first crashed a bachelorette dinner at the Globe, a really fancy resturant, where the servers look like models. After dinner we decided to go out dancing, and since it was pride in Montreal, what not better than a gay club with three dance floors, a rooftop terrace and body Jell-O shots? We paid a $5 cover for Unity Night Club, in the heart of the gay district. After hours of dancing we headed home to wake up only a couple hours later to drive to Quebec City. 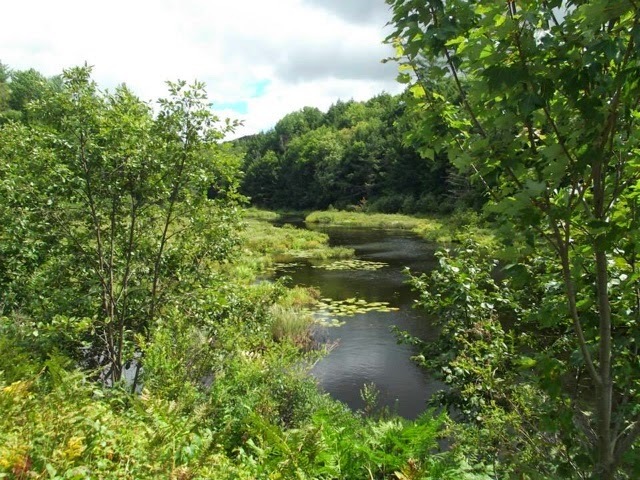 The drive is through scenic farmland. 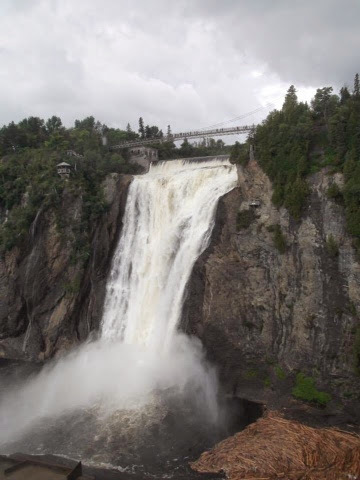 We drive through Quebec City to see Montmorency falls. Right off the road it's easy to get to. It's a breathtaking waterfall over rocky cliffs. Here you can climb up a wooden staircase (good exercise) through a small meadow and forest to reach a bridge that crosses right over the falls. After exploring the falls we headed to Old Quebec City. Old Quebec City is so cute. 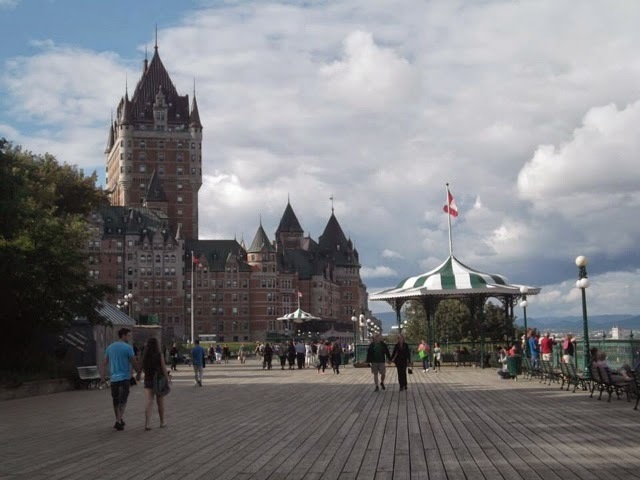 The highlight is the huge castle Château Frontenac, a hotel, perched at the top of the mountain looking over the river. To get there you wind through very eauopean-esque couble stone streets, lined with resturants and boutiques. 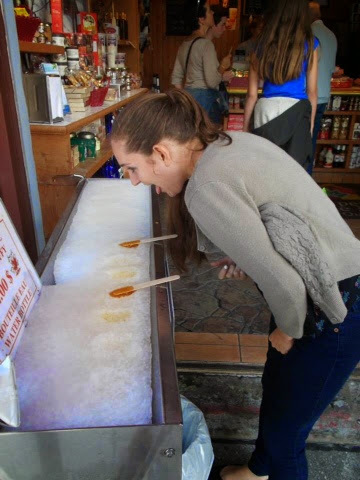 Don't forget to try the maple syrup taffy. It's frozen maple syrup that you wrap around a stick. It can be pricy, but when in canada you must try everything Canadian, especially if it has maple syrup on it. We ate lunch at Le Casse Crepes. Their prices were very good and they gave you more than you could eat. 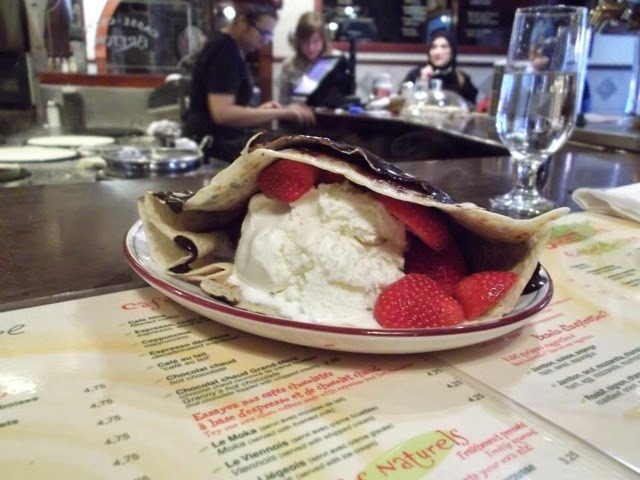 We enjoyed Canadian ham, cheese and asparagus Crepes and finished lunch off with a sweet strawberry, chocolate and ice cream filled crepe. After lunch we walked the Citadelle walls, it's free to walk around it, and the views are amazing. We walked along the promondade des gouverneurs which is a beautiful walk along the cliffs overlooking the river. We ended back at the castle. We drove back to Montreal and I headed off for an overnight drive back home to Philadelphia. Maple syrup taffy!!! YES! Had the stuff for the first time in Connecticut, actually, and immediately fell in love. Although, that crepe looks pretty amazing as well.